« A 1000-year old skyscraper? What larks, eh, Pip? I’ve played with this a bit, and a friend asked me about it this morning so I thought it might be useful to write something up for others. The more recent iPhones, those with autofocus cameras, can focus close enough to get good images of barcodes and there are several utilities which will recognise them. Some concentrate on 1D ‘traditional’ barcodes, others on the more interesting and capable 2D codes, the most common format being the QR code (shown here). 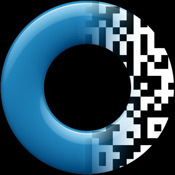 Optiscan is, in my opinion, the best scanner if you just want to do QR codes. It’s fast and reliable and, when I first got it, was the only one I could easily configure to fill my particular need – I wanted a really low-friction way to scan a QR code containing a URL and view the associated page. Optiscan did that brilliantly – one tap on the screen to scan, and you could set it to open a URL immediately when it recognised it. Nice, simple, well-documented and only £1.19. And that’s the most expensive of these. RedLaser is the kind of app that high-street stores probably hate. This is designed for traditional 1D product barcodes, scans them well, and then looks up other places you can buy them and tells you the price online. Now, it doesn’t look in very many places, so I wouldn’t suggest it’ll find you the best bargain, but it is a useful reality check before you make that impulse purchase. To be fair to high-street traders, too, it has more than once told me that the difference between their price and Amazon’s was small enough that I was happy to buy the item in-store. 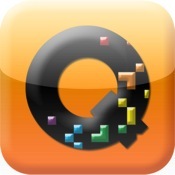 I think the latest version of QuickMark is now my favourite of the apps I’ve tried. (Note that there’s a different version for the iPhone 4). Its big failing is that bits of the UI are rather counter-intuitive and the developer’s website is a mess and hard to navigate. But once you get over that it has several very nice features. Firstly, it will scan a range of different 2D formats including QR Code, Quick Code and Data Matrix. It will also scan 1D barcodes, but, and this is important, you need to configure it for the type of 1D code you’re scanning or it will just sit there failing to recognise anything. 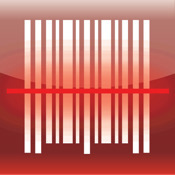 If you’re generally scanning standard product codes, go into Settings and make sure you select the EAN/UPC option. and sure enough, when I scanned a book it stuck the ISBN number on the end and took me straight to the right place. And better. There’s a free utility called QuickMark Spot which you can run on your Mac and which will receive barcodes from the phone over wifi, and insert them wherever your cursor happens to be. So you can open a text editor, wander round the house scanning your books and CDs, and come back to find all the barcodes in your file. Very cute, and a better range than, say a dedicated bluetooth scanner. There are many, many more apps out there, and many more functions to these ones – I haven’t touched, for example, on how some of them can automatically call phone numbers embedded in QR codes, or display barcodes to be scanned by other phones… but this should get you started if you want to explore. Thanks for a very useful post, Quentin.